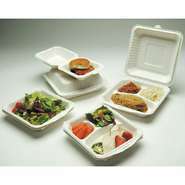 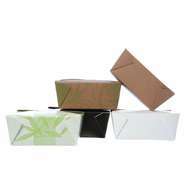 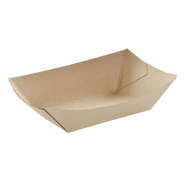 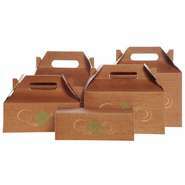 Many restaurants and food retail operations offer hot foods to go in a variety of containers: food cartons, special grease-resistant bags, barns with carrying handles, hot soup cups, divided clamshell containers, paper food trays and more. 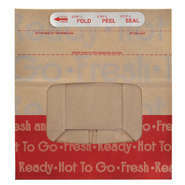 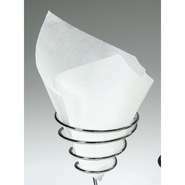 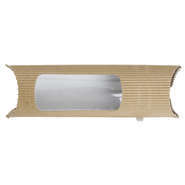 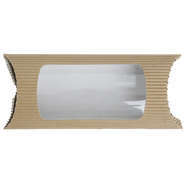 All are designed to keep prepared foods hot and ready to eat and enjoy. 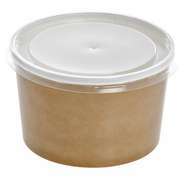 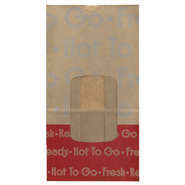 Several of these containers make great choices for the customer to store leftovers.